Gen Z. They are today's children...the youngest of six generations that are currently alive. Each of these generations as a whole have been moving farther away from the truth. You can see this in the following percentage of people in the generations who are not affiliated with any religion. We also know that even among those attending church, they are attending less frequently. "Regular attenders" used to mean 3 to 4 times a month. Now it means 1-2 times a month. Gen Z kids are attending church less frequently than any previous generation because their parents are taking them much less frequently. There are no moral absolutes. There are many paths to God (pluralism). Each person must decide for themselves what is right and wrong. 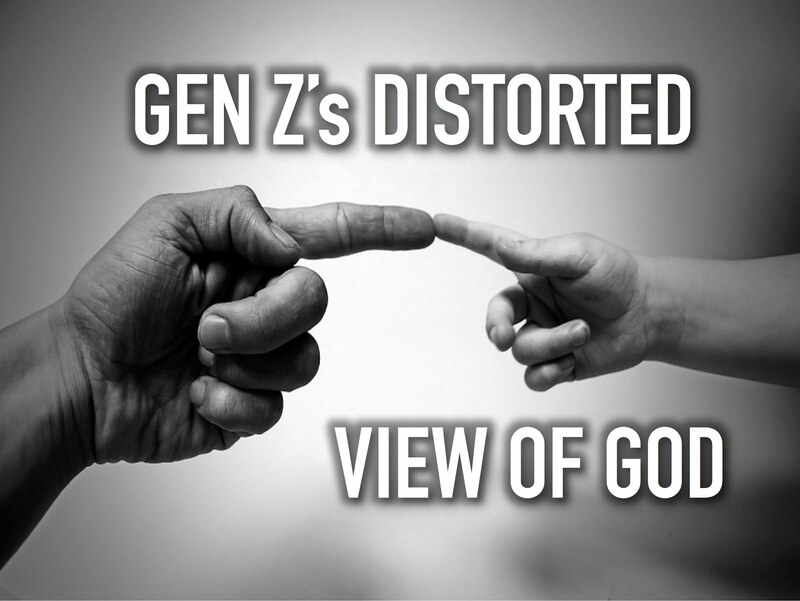 Being born into a culture that is saturated by Post-Modernism is distorting Gen Z's view of God. They aren't being taught Who God is and how we can have a relationship with Him. A recent video that was very popular on YouTube shows an example of this. I must warn you, there are parts of the video that I believe are highly inappropriate for a child to be discussing, but it again shows where our society is. Watch the video and then I'll pick back up with our discussion. God is a guy up in the clouds, like on the Simpsons. Jesus is the mommy. He is a Hexagon. We're all part of the same family. I imagined all different religions having their own god portrayed and I didn't want to just do one, so I did all of them. It is easy to become disheartened when seeing this. But don't. The good news is we have an unprecedented opportunity to reach kids and families with the Gospel. The Gospel is just as powerful as it ever was. When we share the truth about God and His Son, Jesus, with kids and families, many of them will respond. The church, like never before, must be about spreading the Gospel. The church must also be intentional about teaching kids solid, Bible doctrine. "What" we teach is more important than ever before. I'm not saying we should make church a boring experience. "How" we teach must be engaging, fun and learner-based. But just teaching kids cute values and surface level lessons will not prepare them to spiritually survive the Post-Modern culture in which they are entrenched from birth. Children's ministry leader, you are on the front lines in this. You matter. What you do matters. Walk in God's power and let's reach Gen Z.